To avoid a possible crippling face-off with labour unions over the proposed removal of fuel subsidy, the Federal Government will soon begin negotiations with labour unions in the country. A minister told THISDAY last night that the government considers the negotiations to be “part and parcel” of the full deregulation of the oil industry which will inevitably lead to the removal of fuel subsidies and increases in fuel prices. “The President will soon meet with the Presidential Committee on Deregulation of the Downstream Sector so that he can be properly briefed on how far it has gone,” the minister said, revealing that the President wants every decision taken to be in full consultation with the key stakeholders in the country. The Nigeria Labour Congress (NLC) and Trade Union Congress (TUC) have been very critical of the planned deregulation which is expected to take off before the year runs out. 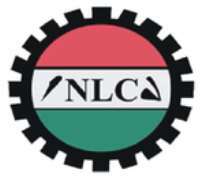 NLC recently embarked on nationwide sensitisation rallies which were to prepare workers for “resistance” to the planned removal of subsidies. The Federal Government said it had spent close to N2 trillion in four years subsiding petroleum products. The removal is expected to be effective as soon as the government moves to the final phase of the deregulation of the downstream sector. Petrol currently sells for N65 and kerosene officially N50, but the pricing of diesel and jet fuel had been deregulated since over three years ago. It is yet unclear at what prices petrol and diesel will be sold when the subsidies are removed, but the prevailing price of crude oil in the international market is expected to determine the product prices in Nigeria. Already, the Minister of Finance, Dr Mansur Muhtar, is said to have made his position known to President Yar'Adua on the need to take the “critical” decision. According to official figures, N255.74 billion and N290.47 billion were spent on subsidies in 2006 and 2007 respectively. The subsidy payment in 2006 was about 50 per cent of the size of Federal Government's capital expenditure while in 2007, the amount was 40 per cent, according to official sources. In 2008, N654.76 billion was spent on subsidies, representing 133 per cent of the size of the Federal Government's capital expenditure, while N602.51 billion was spent on subsidies this year. The projected subsidy payment for 2009 is about 133 per cent of the amount devoted to critical infrastructure. It is being argued in government circle that it was wrong to pay about 400 per cent of the budgeted capital expenditure for human capital development in 2009 on subsidies alone. It is being argued that the subsidy bill was not sustainable because lower revenue had been accruing to the Federation Account and Excess Crude Account.